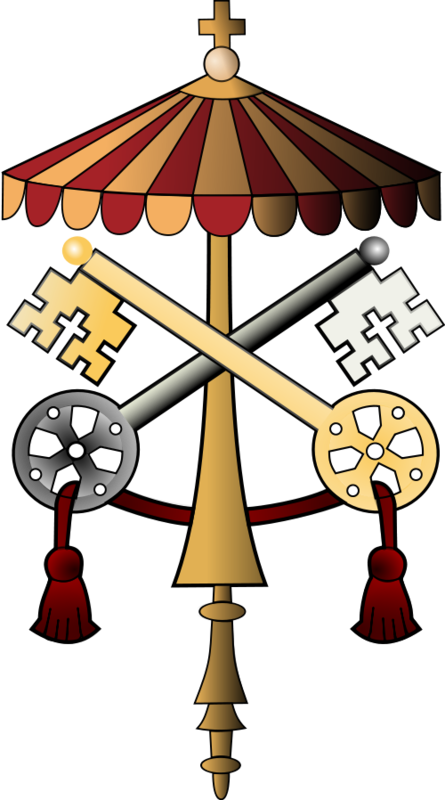 If you are looking for a quick run-through of the papal inter-regnum, almost over at this writing, you may be interested in the booklet by The Catholic Truth Society, a handy Step by Step Through the Papal Interregnum (2013) by Monsignor Charles Burns, OBE. Step by Step does what it proposes to do: the booklet takes the reader through terms, legislation and processes of the period in the Church known as the interregnum and the subsequent papal election. Burns attempts to be exact in what is expected of the cardinals fulfilling their key work as a cardinal of the Holy Roman Church. Historians will like this brief booklet for its mentioning of key historical facts of the conclave. 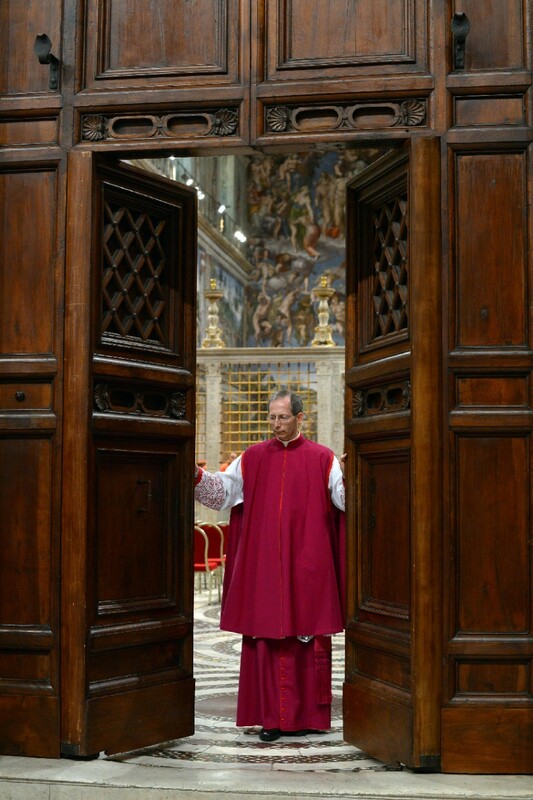 Monsignor Burns, a priest of the Diocese of Paisely, has worked for the Holy See in the Vatican Secret Archives for more than 35 years; he taught for 25 years at the Pontifical Ecclesiastical Academy. Since 2012, Burns has been a Canon of Saint Peter’s Basilica. Here is an audio introduction with Monsignor Burns produced by Vatican Radio. What right-minded person wouldn’t get annoyed at dishonesty? 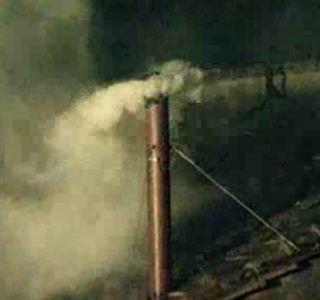 At 2:40 DST black smoke emerged from the smoke stack today. Tomorrow morning at 4:30 DST the voting begins again. 2 votes in the morning, 2 votes in the afternoon. Here is Vatican Radio’s report. 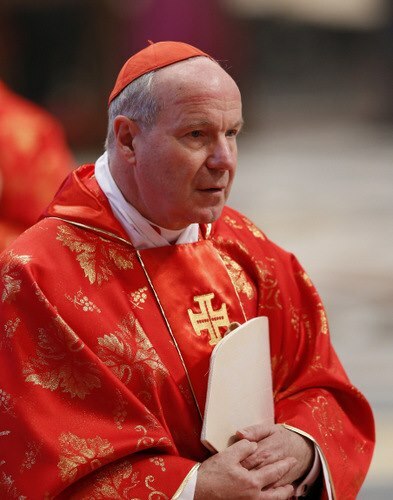 At certain point the Papal Master of Ceremonies, Monsignor Guido Marini, a priest of the Archdiocese of Genova, announces “Extra omnes,” a polite way of saying that all those not belonging in the conclave with the cardinals are to leave now. Monsignor Marini then walks through the center of the Sistine Chapel to the doors and closes them.